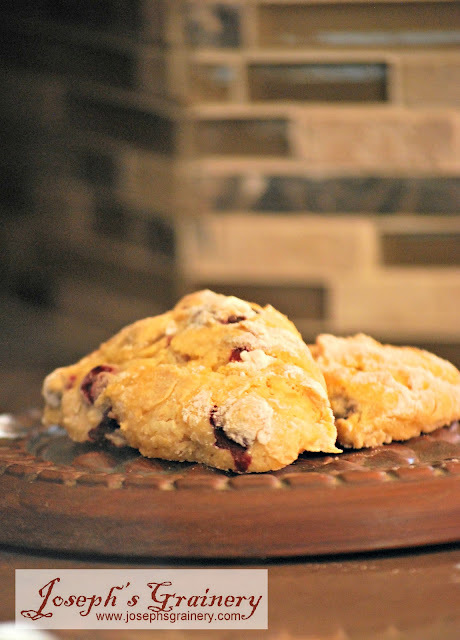 We had a few huckleberries left after enjoying the huckleberry multigrain pancakes, so MaMa thought it would be fun to make Huckleberry Honey Scones. She had the right idea...what a great breakfast treat! I'm sure you could make these with blue berries if you don't happen to have any huckleberries. A delicious way to enjoy huckleberries first thing in the morning. Heat your oven to 350 degrees. Line cookie sheet with parchment paper; set aside. In a small bowl, add 1/2 cup of the all purpose flour to huckleberries; set aside. In another larger bowl, mix the flours with baking powder. Cut in butter until pea-sized pieces form. Beat together honey, buttermilk and egg. Add to dry ingredients. Gently stir in huckleberries. Place dough on lightly floured surface and knead a few times, dusting with more flour, if needed. Form into ball, then roll out to 10-inch circle, about 1 inch thick. Cut into 8 sections. Place on prepared cookie sheet. Bake for about 12 minutes, or until golden brown. 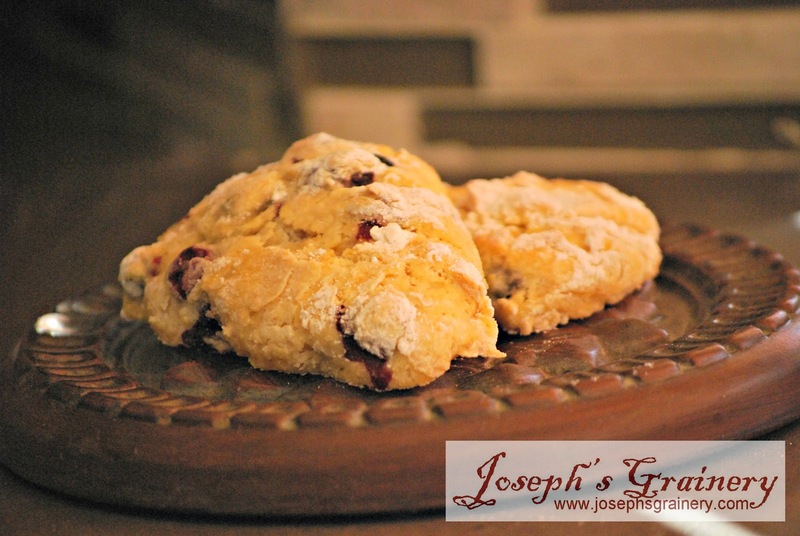 Yes, I'll be your huckleberry if I can have one of those scones!